This is the largest ALL-FORD event in the world! Come to Carlisle and see more than 2800 Ford, Lincoln, and Mercury classic cars on one show field. There will be concept cars displayed as well custom cars and trucks. This year the specialty car will be the GT and GT40. There is no “run of the mill” GT as you will see at this event. There will be Ford GTs displayed outdoors on the show field and indoors with special cars and well-known GT designers and developers at the show. There is a sneak-peek day on Thursday, June 4th and the standard show and swap meet running June 5, 6, and 7. You can buy one small part that you need to finish a restoration of your Ford or you can buy a compete car in the car corral. Here is the directory for the whole show. Purchase your tickets in advance for just $25 for admission to all 4 days! 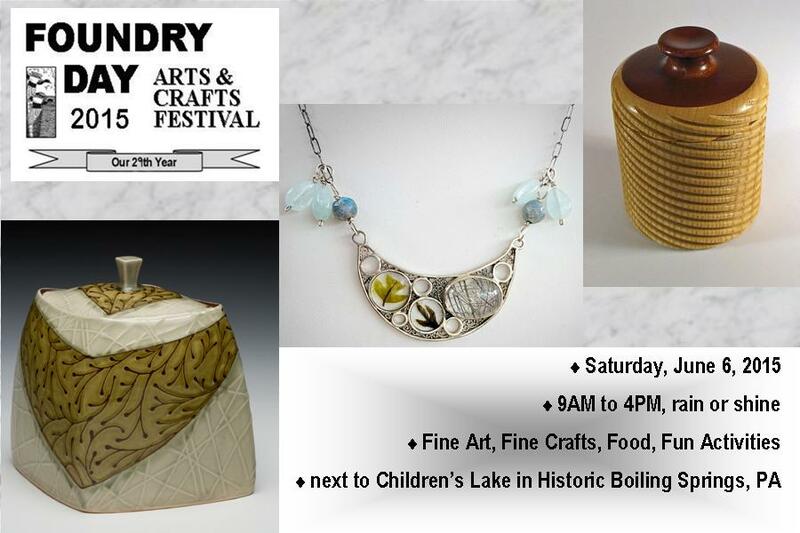 If you want an alternative to the car show on Saturday, June 6th, Foundry Day Arts & Crafts Festival is happening in nearby Boiling Springs, PA. This festival features 100 juried artists and craftsmen creating everything from musical instruments to hand-crafted signs to real corn brooms! There will unique art and historically styled crafts at this event AND great food provided mostly by non-profit organizations in the area. Come for the Fords or come for the crafts but make your way to the Cumberland Valley next weekend for great fun! This entry was posted in Carlisle Car Shows, Events by admin. Bookmark the permalink.